LA FixIt Appliance Repair Services has been serving the Los Angeles County for over two decades and continues to triumph. 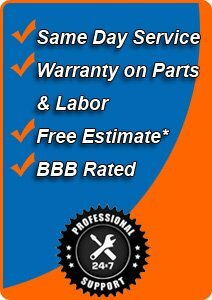 LA FixIt has been offering appliance Repair Los Angeles including areas such Sherman Oaks to the local businesses and residents with quality service they can appreciate. It’s a competitive business with an ever changing landscape; however, with the proper tools, dedication, and understanding, one can climb their rank to the top. It’s a sweet deal to be able to offer quality appliance repair to the local residents on both the commercial and residential side. Each appliance is repaired differently, which is why we have specialists that only repair commercial appliances and residential appliances. It’s our secret sauce that we keep our team of appliance repair professionals diversified in the sense that we value every work opportunity that comes our way. Whether it’s a commercial freezer repair Los Angeles request, or a residential stove top Viking appliance repair Los Angeles inquiry, we stand ready to help schedule and dispatch the right appliance professional for you.